542 p., 2 Lesebändchen, 12,3 x 17,8 cm. ›Turbo‹, published in Strasbourg under a pseudonym, is the only drama among Andreae’s Latin works which has been preserved. ›Turbo‹, the restless spirit, driven by curiositas and opinio, whirls through the scholarly disciplines and cultural spheres of late humanist Europe, searching in vain for the »castle of wisdom« and for truth, which he ultimately finds in his own heart as a Christian rather than in institutions. 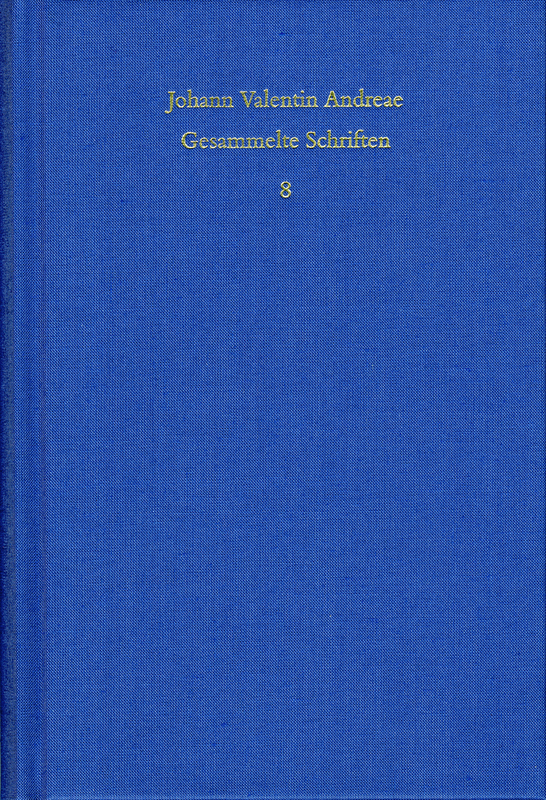 This edition contains a synopsis of the text in two languages from the first printing in 1616 as well as a new translation, a detailed introduction and an appendix containing mainly documents concerning the various complete or partial performances during Andreae’s lifetime as well as the performance in Frankfurt/M in 1925, which was in accordance with a translation by W. Süß (1907), the latest translation at that time.